As if you didn't have enough distractions, now you can chat with your cat while you're at work. PetChatz, a videophone that lets you talk with your cat from wherever you are and even send him treats, is now available online. 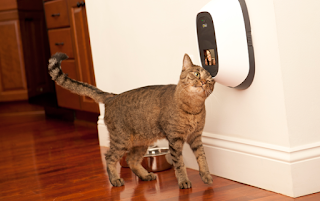 The PetChatz unit mounts on the wall over any electrical outlet and connects to a home WiFi network. 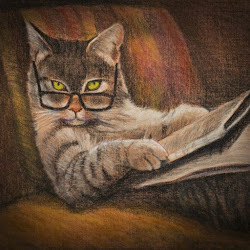 To see and chat with your cat, just log into PetChatz.com or download the app to your smart phone. You can signal your cat to come to the unit when you want to visit and send another signal when you need to get back to work. The unit also lets you dispense a chicken- or salmon-flavored treat. Sounds like fun for "mom" or "dad," but I wonder if it would be confusing for the cat to see your face and hear your voice when you're not there. He'd probably love the treats, though, especially if he could have several at a time.